In a weak field at The Greenbrier, which top-priced golfers are worth the investment? Each week, we have a course primer, and our daily fantasy golf projections and lineup builder can help you get started, but these golfers stand out specifically on DraftKings for Quicken Loans National. The Old White TPC hosts The Greenbrier Classic this week on the PGA Tour. The 7,286-yard par-70 layout features wide fairways and large greens. It is one of the more forgiving venues on Tour and yields its fair share of birdies even without the standard allotment of easy par 5s. Accuracy and approach, though always important, take a back seat to distance and putting this week. There are precious few bombers who also roll it in, so DFS players will have some tough choices to make. 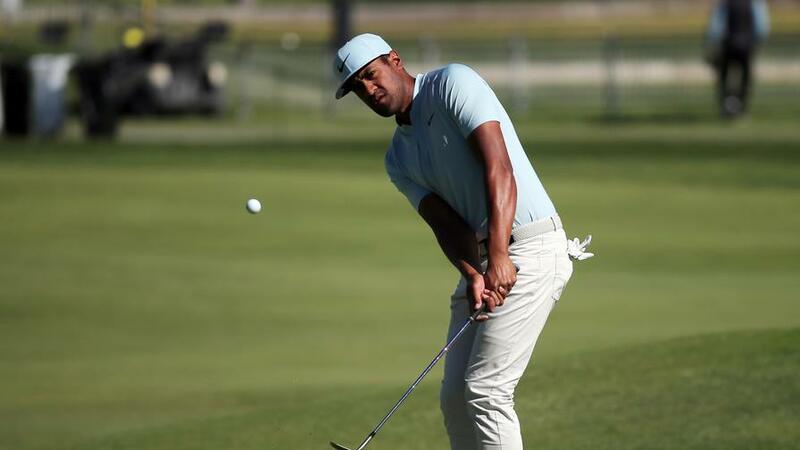 Tony Finau (DraftKings Price: $11,500 | PaddyPower Win Odds 12/1) - The term â€œstudsâ€ is pretty loose this week given the field, but one guy who is definitely worth paying up for is Finau. The 28-year-old tees it up for the first time since his fifth-place finish at the US Open and enters the week ranked second in strokes gained: tee to green, third in birdies or better gained, and fifth in strokes gained: par 4s. Phil Mickelson ($11,200 | 14) - Notwithstanding his gaffe at the US Open, Mickelson has been one of the most reliable putters on Tour this season. His awry drives can still find playable position with Old Whiteâ€™s wide fairways, plugging the biggest hole in his game right now. Phil is first in birdies or better gained, second in strokes gained: par 4s, and fourth in approach. 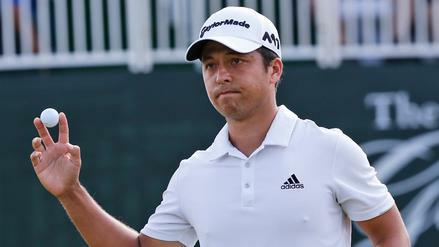 Xander Schauffele ($10,200 | 20) - Schauffele is the defending champion at this event, and itâ€™s easy to see why. He is 6th in strokes gained: putting (bent), 9th in strokes gained: off the tee, 15th in par 4s, and 22nd in birdie or better. 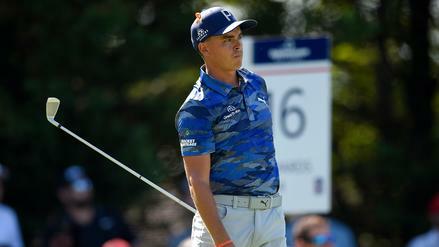 He has been boom or bust lately, with three missed cuts and two top-10â€™s in his last five events. Notably the missed cuts came at weaker-field events, but the talent is there to compete with the best, and if heâ€™s on his game this week, he will be in the mix come Sunday. Joaquin Niemann ($9,700 | 25) - Niemann has seen his price climb higher and higher each week as he continues to show his game is for real. The question for DFS players is whether they can swallow this salary with the limited track record. Niemann enters the week with top-10 ranks in strokes gained: tee to green, strokes gained: off the tee, strokes gained: approach, and birdies or better gained. He does his best putting work on bentgrass and ranks 16th in the field on that surface. Brian Harman ($9,500 | 25) - Harman booked another top-10 his last time out at the Travelers, his Tour-leading eighth such finish this season (tied with Dustin Johnson). He accumulated most of those finishes in weak fields, much like he faces this week. Harman is third in strokes gained: putting (bent) and fifth in birdies or better gained. Charles Howell III ($9,300 | 30) - Howell was highlighted last week as a safe play to build cash lineups around. Even with a $400 bump in price for The Greenbrier, the same holds true this week. Howell is third in strokes gained: par 4â€™s, fifth in tee to green, and seventh in birdies or better gained. J.B. Holmes ($9,000 | 25) - Holmes is third off the tee and fifth tee to green, and he should be able to maximize his length with easy-to-hit fairways and greens. He has three straight top-25 finishes at The Greenbrier, including a T9 last year. He was priced $1,000 higher last week in a similarly weak field, making him a premiere value in this range. Brian Gay ($8,100 | 50) - Gay has been on a roll lately with three straight top-20s, and among players in this field, he is seventh in DraftKings points over those last 12 rounds. He doesnâ€™t bomb it off the tee, but he is accurate and scores well on par 4s (11th in the field). He has been hot with the putter, and that will always keep him alive. Even with a $700 price bump, Gay is in play this week. Aaron Wise ($7,900 | 50) - Wise has missed three straight cuts since his win at the Byron Nelson, but he still rates out well statistically in this field. He is second in birdies or better gained and eighth in strokes gained: off the tee. His recipe for success is to gain strokes off the tee and on the greens, and that is exactly what is required to win at the Old White. Andrew Putnam ($7,800 | 60) - Putnam has made eight straight cuts with three top-10â€™s along the way, and he arrives at The Greenbriar 5th in strokes gained: par 4s, 12th in putting on bentgrass, and 20th tee to green. The only event where his game really has really come together was the St. Jude Classic, where he finished second. There is sneaky upside here with the putter, and that could propel Putnam to the top of the leaderboard. 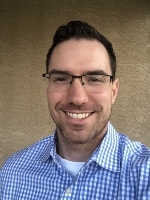 Kevin Chappell ($7,700 | 50) - On the other end of the spectrum is Chappell, who is a PGA Tour pro who probably canâ€™t beat his 10-year-old nephew in minigolf. Chappell is 3rd in strokes gained: off the tee, 16th in birdies or better gained, and 28th in par 4s. The putting is a concern, of course, but in this field, there is no way he should be priced down within a couple hundred dollars of what he costs at majors. C.T. Pan ($7,300 | 66) - With his 17th-place finish last week, Pan has now finished in the top-20 in three of his last four events (the fourth was a missed cut at the Travelers). He is respectable in the key stats, ranking 21st in strokes gained: off the tee, 23rd in tee to green, and 36th in putting on bentgrass. John Huh ($6,800 | 200) - Huh ranks 26th in both strokes gained: putting (bent) and strokes gained: par 4â€™s as well as 27th in birdies or better gained. 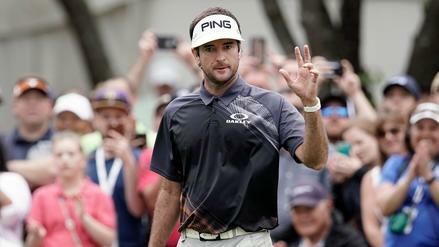 He rode the roller-coaster last week, with a final-round 78 spoiling solid position after three rounds. Tom Lovelady ($6,700 | 200) - Lovelady ranks seventh in birdies or better gained and ninth in strokes gained: off the tee. He gets in trouble with his approach shot (110th in the field in shots gained: approach), but his length and the elevation should allow him to club down to a wedge and give him a bit more control this week.